ASC has been contracted by defence and security company Saab to provide a range of design and engineering services for the A26 submarine program, two of which are being built for the Royal Swedish Navy. 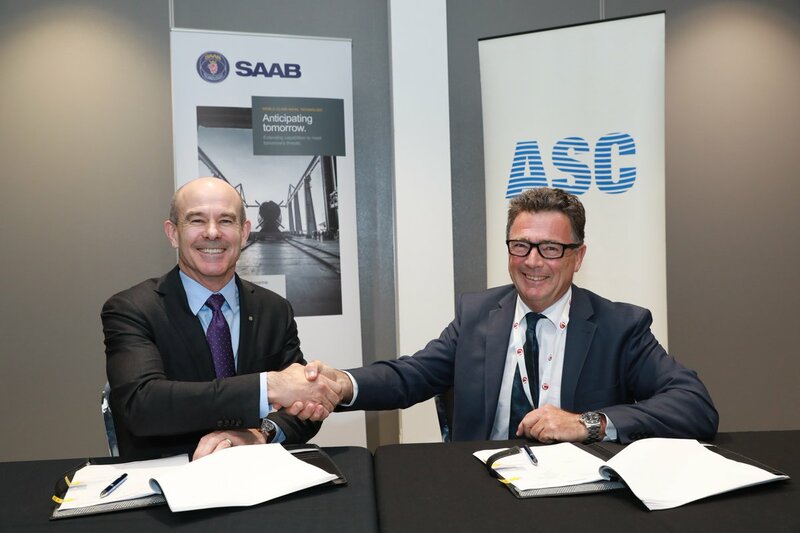 Under the agreement, the two parties will launch a pilot program that will see ASC’s seasoned submarine designers deliver specialist detailed design services in Adelaide for Saab’s A26 program. ASC Chief Executive Stuart Whiley said the engagement recognised ASC’s 30 years of experience in submarine design-to-build, adding that the program will provide additional opportunities and professional rewards for the company’s engineers and designers, along with ASC’s core responsibility of the platform sustainment of the Collins Class fleet. “The Saab-ASC engagement recognises ASC’s long-standing relationship with Saab on the Collins Class submarine. It also recognises ASC’s up-to-date design-to-build capability first developed in the Collins project in partnership with Kockums in the 1980s and 1990s” Mr Whiley noted. Managing Director of Saab Australia, Andy Keough, said the company was pleased to engage ASC in its supply chain. “This agreement with ASC is another example of Saab’s commitment to the Australian Submarine enterprise and will facilitate engineering knowledge and experience transfer between Australia and Sweden,” he added.